In my previous two posts, I discussed how instructors and students can use WikiProjects to select articles for editing in Wikipedia-based course assignments. In this post, I discuss the creation of new articles, using WikiProject Requested articles (WP:WPRA) as a starting point. This is not the only way to start creating new articles, but the process allows you to see whether the article you are thinking of writing, or one like it, has already been requested, and to see how that request fits in with the larger subject of which it is a part. What is “WikiProject Requested articles”? The WPRA page explains that WikiProject Requested articles is one of Wikipedia’s oldest projects, and “offers individuals the ability to suggest articles that should be created but which they do not wish to write themselves.” This is usually done by creating red links. These links, unlike the blue links that allow you to jump to other Wikipedia pages, indicate that the linked pages don’t exist‍—but that the linkers wish they did. This is another example of crowdsourcing philosophy at work, and may at first seem like a recipe for chaos or clutter. In fact, it has been one of the main drivers for Wikipedia’s growth. I adverted to this in a previous post, where I wrote about a project that aims to turn redlinked articles on women into bluelinked ones, and in a field in which Wikipedia is greatly underrepresented. 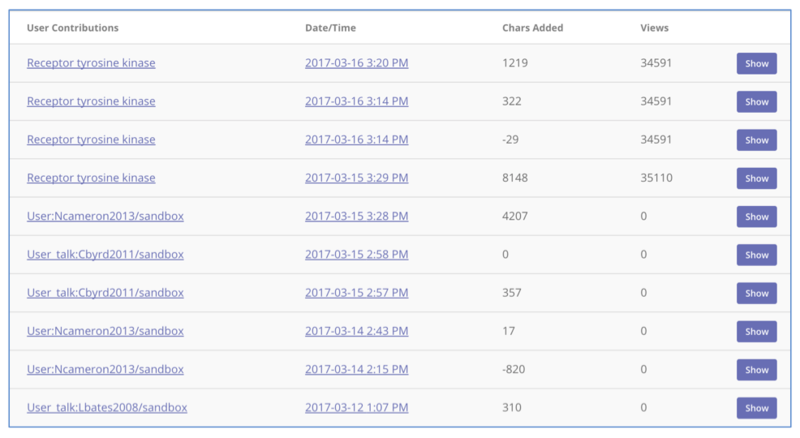 What is the “Requested articles” page? One of the WikiProject’s outputs is the Requested articles page (WP:REQ). Near the top of it, you’ll see a couple of things of interest. First, there is a table of contents that puts article requests into 14 categories (see sidebar). These categories are idiosyncratic and are open to criticism; one could argue, for example, that categories based on the Library of Congress Classification system would be more helpful. For better or worse, though, this is the system adopted for article requests, so it helps to get to know it. Second, there is an Article creation infobox with links to various Wikipedia processes, policies and tools to help in the creation process once you’ve settled on the article you want to create. How do I find out whether an article I want to create has already been requested? https://en.wikipedia.org/wiki/Wikipedia:Requested_articles/Applied_arts_and_sciences/Medicine#Dentistry (#Dentistry refers to a section on the Medicine page). This section sets out several redlinked articles, including three relating to alveoloplasty: interradicular alveoloplasty, radical alveoloplasty, and simple alveoloplasty. But you decide, wisely, that it would make little sense to have three articles on these procedures when there isn’t even a general article on alveoloplasty. The appropriate strategy, it seems, is to create an article entitled “Alveoloplasty” (which would include a redirect from “Alveoplasty” so that those searching for the shorter term would end up on the right page) and which might use the redlinked article nomenclature (simple, radical, interradicular) in headings for some of the sections within the main article. 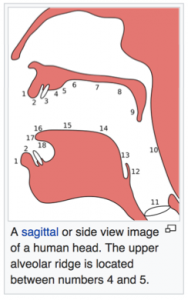 The article that you create might also link to the articles on Alveolar ridge and Dental alveolus; this is good practice, as such interlinking binds the various pages of Wikipedia into an interconnected whole and might lead to edits on those pages as well. The pages, from a search done on 12 March 2017, are List of MeSH codes (E06), ICD-9-CM Volume 3, and List of MeSH codes (E04). 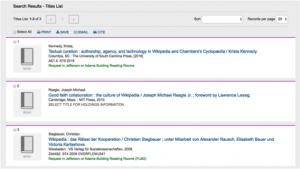 In this second part of this two-part article, I discuss how WikiProjects, article importance and article quality come together in Wikipedia—and how that conjuncture can help instructors and students with selecting appropriate articles for editing in Wikipedia-based course assignments. A key WikiProject output is assessment of an article’s quality and importance (see the previous post on the criteria for measuring these). Quality and importance can be plotted on a two-dimensional grid in which each cell represents a particular quality grade and a particular importance level. 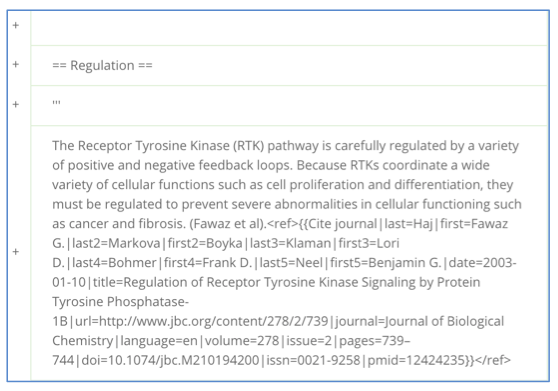 The cells can then be populated with the number of articles in each of these pairings, using the quality and importance data from the article Talk pages. In Wikipedia, this information is collected—and the cells are populated—with help from a bot (more on which later), allowing for the number of articles of interest to a WikiProject, and their importance and quality, to be updated over time. 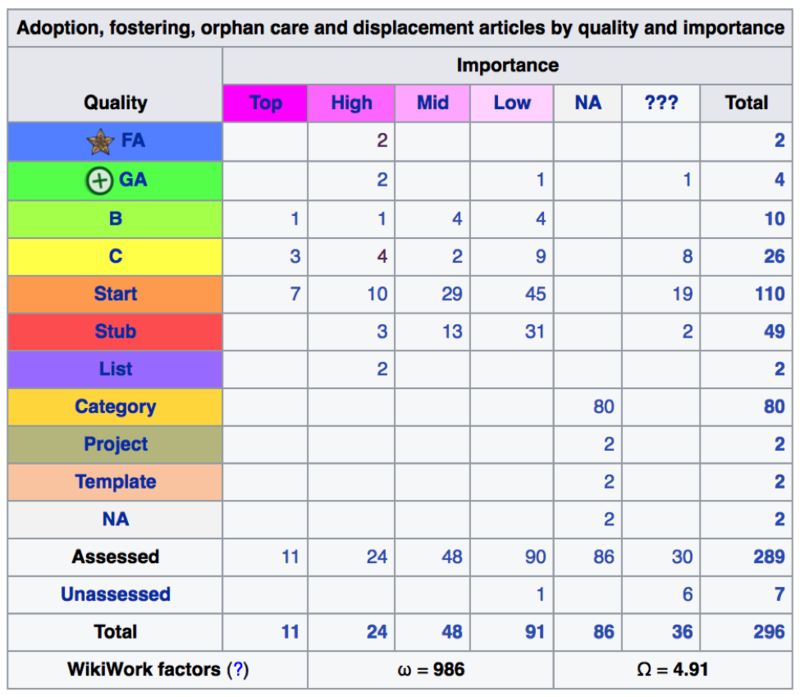 The output can be seen by looking at the assessment grid for WikiProject Adoption, fostering, orphan care and displacement (“AFOD”), discussed in the last post. I’ve captured an image of the grid as of 26 February 2017 and hyperlinked it to the actual grid on the AFOD project page, which lets you view the most up-to-date version of the grid. For now, let’s ignore the bottom part of the grid and focus on the vertical quality axis, starting with “List.” Scanning this line, we see that there are two list-class articles, both of them considered “High” importance. Indeed, these are the only List-class articles for AFOD, as reflected in the “Total” column at far-right, which also shows “2.” Moving up to “Stub,” we can see there are three stub-class articles of high importance, 13 of mid-importance, 31 of low importance, and two that need assessing (“?? ?”), for a total of 49 stub-class articles tracked in this WikiProject. We can keep moving up the quality axis to see the number of articles in the Start-, C-, B-, GA-, and FA-classes and their distribution across importance levels. Now let’s look focus on the horizontal importance axis, starting with “Top.” We can see that there is one B-class article in this category, three C-class, and seven Start-class articles—for a total of 11 assessed articles in the top-importance category. Moving to the right and following the same procedure, we can see that there are 24 high-importance, 48 mid-importance, and 91 low-importance articles—with the distribution across quality levels as shown in the grid. Assessment grid for WikiProject Adoption, fostering, orphan care and displacement (“AFOD”), as of 26 February 2017. Click on the image to see the most up-to-date version of the grid in Wikipedia. This statistical information comes together in two metrics, called WikiWork factors, that serve as a rough guide to the amount of work a given WikiProject entails. These metrics, ω and Ω (the lower- and upper-case versions of the Greek letter omega) are at the bottom of the AFOD assessment grid. The metric ω is the number of steps a WikiProject is from having all articles attain FA status; for example, an A-class article is one step away from that status, while a Stub-class article is six steps away. (List articles aren’t counted.) Multiplying the steps by the number of articles in that class and summing everything yields a ω of 986. The other metric, Ω, is a measure of relative workload: ω divided by the number of articles (again, excluding List articles). It is always a number between zero and six—in this case, 4.91—with lower numbers indicating that less work is needed on average to bring an article to FA status. 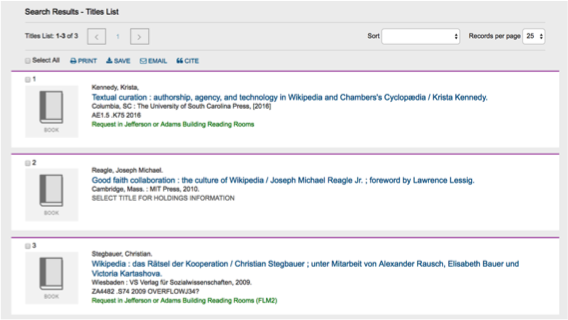 Table showing WikiProject AFOD articles rated as “High” importance and “Featured”—accessed via the (FA, High) cell in the AFOD assessment grid. Click on the image to see the most up-to-date version of the table in Wikipedia. This table shows us that: (i) both articles were rated high-importance on 22 August 2009; (ii) the article “Attachment theory” became a featured article on 30 November 2009; and (iii) the article “Reactive attachment disorder” became a featured article on 18 June 2009. Clicking on the titles under the “Article” heading takes you to the current versions of the articles; clicking on the dates takes you to permanent links to the earlier versions, which, as a pink warning banner declares, “may differ significantly from the current revision.” The letters “t” and “h” are links to the Talk and History pages for the articles; the letter “l” and the heading “Score” relate to the eventual release of the article as part of the offline project, Wikipedia 1.0. 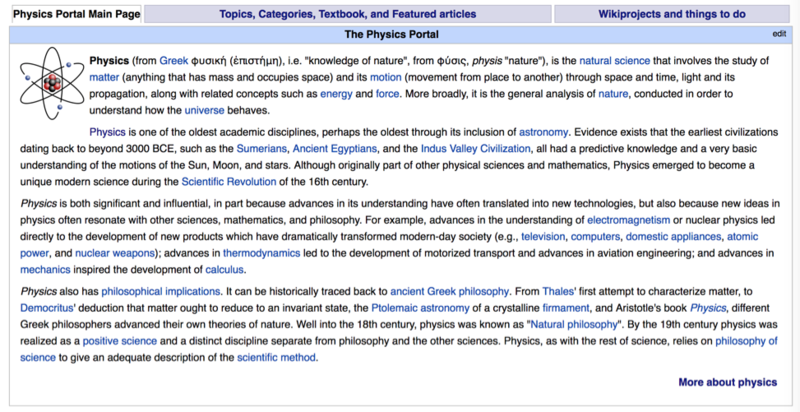 From the above, you can see how these tools—the assessment grid and article tables to which they lead—can be used to create a shortlist of existing Wikipedia articles for students to edit. In the AFOD assessment grid, for example, there are 62 articles rated as stub-class or start-class and considered to be top-, high- or mid-importance. This is a likely place to look for candidates for impact and improvement—though even the C- and B-class articles may also be good candidates if the aim is to achieve at least GA status. From this universe of candidates, instructors can generate a list of articles to which students can be reasonably expected to make a meaningful contribution, or from which students can choose their own articles to edit. For example, WikiProject Canadian law, of particular interest to me, has some 300 stub- or start-class articles of mid- to top-importance. The average workload, Ω, is 5.09. 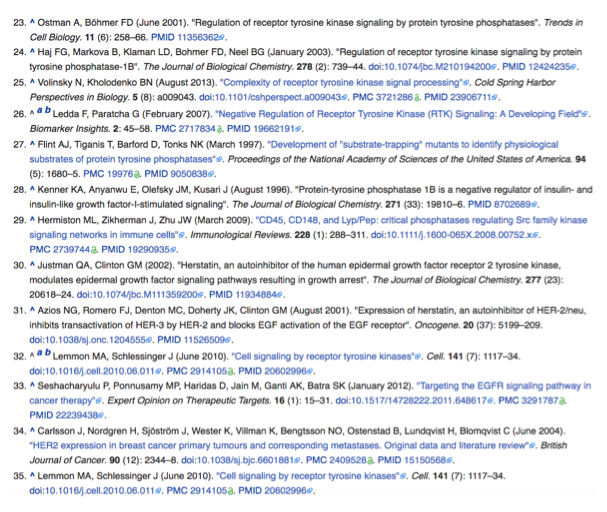 There is a lot of work to be done in Wikipedia—and I haven’t even begun to consider the task of writing new articles! That is, 986 ÷ (11 + 22 + 48 + 90 +30) = 4.91. In a previous post, I wrote about how WikiProject Medicine acts as a forum for determining the priority (also called importance) of specific health-related Wikipedia articles and assessing their quality (also called class). More generally, these three concepts—WikiProjects, article importance, and article quality—are crucial for instructors and students to understand if they seek to use course-based assignments to improve Wikipedia. I will address each of them in turn. Wikipedia has a shortcut—sometimes more than one—for each project: “WP:” followed by an acronym. So, for example, entering WP:MISSING in Wikipedia’s search box takes you the Talk page for WikiProject Missing encyclopedic articles; entering WP:AFOD takes you to the Talk page for WikiProject AFOD. Entering WP:WPBIO, WP:BIOG or WP:BIOGRAPHY takes you to the WikiProject Biography Talk page. There is even a project on WikiProjects—a meta-project, if you will—with the shortcut WP:PROJ. WikiProject information and rankings from Talk page for Barnardo’s (accessed 8 February 2017). Text via CC by 4.0; Anne of Green Gables image and London image originally incorporated into text via CC by 2.0. There are five levels of priority: top, high, mid, low, and NA (meaning “not an article”—that is, something other than an article, like a template or category). There is also a level for “unknown” or “needs assessing” that appears as ??? to the reader. 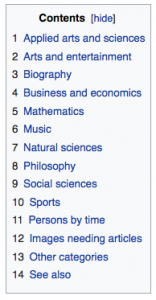 Each WikiProject has its own criteria for these rankings. 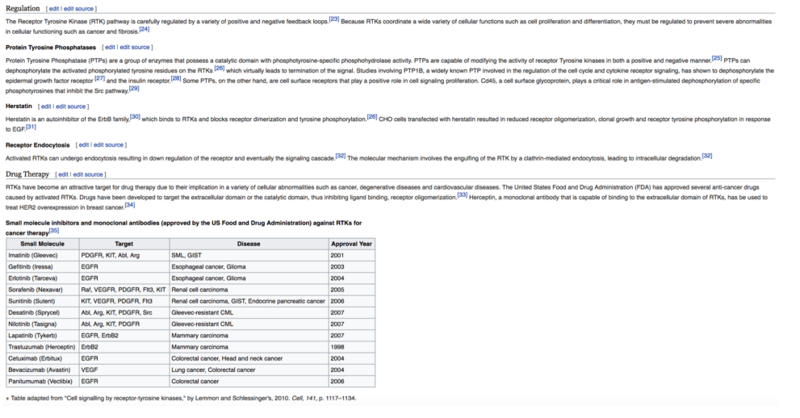 The table below shows the criteria in WikiProject Medicine, along with an example of a Wikipedia page for each ranking. There are nine quality levels or classes for the typical Wikipedia article: stub, start, C-class, B-class, GA (good article), A-class, FA (featured article), List, and FL (featured list). 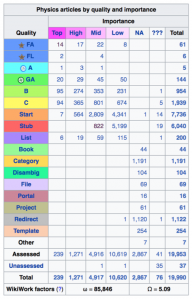 These categories are used by the Wikipedia Version 1.0 Editorial Team for deciding how close an article is to being distribution-quality (that is, to the goal of publishing Wikipedia articles in print, CD, DVD, or a combination thereof). Some WikiProjects also use intermediate classes, such as B+. A summary of the common classes is provided below. For more detailed criteria, see the Version 1.0 assessment page; for a categorized list of articles in each class, click on the name of the class in the leftmost column. Stub The article is either very short or a rough collection of information that needs much work. Stub-class articles are adequate enough to be accepted, but risk being dropped from article status altogether. The first step in improving a Stub-class article is usually the addition of referenced reasons that show why the topic is significant. Start The article is developing but quite incomplete. Deficiencies may include inadequate citation to reliable sources or non-compliance with Wikipedia’s style guidelines. Raising the article to C-class typically requires further referencing, improvement in content and organization, and attention to grammar and writing style. C The article is substantial, but still lacks important content or contains irrelevant material. The article should have some references to reliable sources, but may still have significant problems or require substantial cleanup. By the time an article reaches C-class, it typically has at least some infoboxes, photographs, diagrams or other media. B The article is mostly complete and without major problems, but requires some further work to reach GA status. It is properly referenced to reliable sources, using inline citations. It is balanced, reasonably well written, and has a defined structure, including a lead section. Supporting materials, such as illustrations, diagrams and an infobox, should be included where relevant and useful. The article should not assume unnecessary technical background and should either avoid or explain technical terms where possible. GA The article has attained good-article status (indicated at the top of the article by the “plus sign” logo) via an official review. In addition to being well written and following style guidelines, it is verifiable, contains no original research, and has no copyright violations or plagiarism. It represents viewpoints fairly, giving due weight to each, and focuses on the topic without going into unnecessary detail. It is typically illustrated with copyright-compliant images that are appropriately captioned. The article is stable in the sense of not being subject to edit wars or content disputes, though comparison with a featured article on a similar topic may show areas where content could be further developed. A The article is well organized and essentially complete, having been reviewed by impartial reviewers from a WikiProject or elsewhere. GA status is not a requirement for this level, but with further tweaking or peer review, it may also be appropriate for GA or FA status. FA The article has attained featured article status (shown by the “star” logo at the top of the article) by passing an official review. It exemplifies the best work on Wikipedia and is distinguished by engaging and professional standards of writing, presentation and sourcing. A concise lead summarizes the topic and prepares the reader for the detail in subsequent sections that are hierarchically arranged and presented in a table of contents. Citation is extensive and consistent. The article has images and other media, where appropriate, with succinct captions and acceptable copyright status. FA-class articles may appear on Wikipedia’s home page, in a “Today’s featured article” section. List The article meets the criteria of a stand-alone list, which is an article that contains primarily a list, usually consisting of links to articles in a particular subject area. List articles are often alphabetized or chronologically ordered and may also be annotated. FL The article has attained featured list status. It comprehensively covers the defined scope, usually providing a complete set of items and annotations that provide useful and appropriate information about those items. In my next post, I will discuss how WikiProjects, article importance and article quality come together in a format that provides a convenient basis for selecting articles to edit for Wikipedia-based course assignments. The mechanisms for the gender bias are various, complex, and the subject of several studies, recently summarized by two New York researchers. They may include the code-heavy interface, called wiki markup, that contributors initially had to use to edit articles. To the extent that wiki markup operated to inhibit female editors, the technical hurdle has largely disappeared: since April 2015, Wikipedia’s VisualEditor is available by default on the Article pages (but not the Talk pages) for about three-quarters of the language editions of Wikipedias. A more troubling and persistent concern may be Wikipedia’s sometimes hostile user culture, which I’ll discuss in a future blog post. In response to these concerns, there has been a series of efforts to increase female editorship. These include edit-a-thons, some organized by Wikimedia Foundation and some independently, to increase coverage of women’s topics in Wikipedia and to encourage more women to edit it. An example is the worldwide Art+Feminism edit-a-thon, the third of which was held last year to coincide with International Women’s Day. Events took place in nine locations across Canada, including Saskatoon, where editors focused on Saskatchewan and Indigenous women artists including Ruth Cuthand, Mary Longman, and Michelle LaVallee. Similar events are planned for the US, Canada and Europe in March 2017. 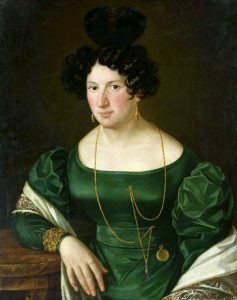 Woman in Green Dress, Anonymous, c 1825, National Museum in Warsaw. Source: Wikimedia Commons. Educators and their students can help address the bias. In 2012, students in Alana Cattapan’s fourth-year seminar, “The Politics of the Canadian Women’s Movement,” edited, updated, and expanded various Wikipedia articles, including “Feminism in Canada.” Though often serving as a first point of reference on Canadian feminism, this Wikipedia page was underdeveloped, and Cattapan drew on her students to set about correcting this gateway article and other related ones. Librarians have also been active. In September 2016, to celebrate Science Literacy Week, Concordia University Library partnered with McGill Library to host a Women in Science Wikipedia event. The librarians gave a tutorial on how to edit Wikipedia, followed by an editing session in which participants got one-on-one help. If you’re thinking of wading into the field and wondering where to start, you might want to look at WikiProject Women in Red. The goal of this project is to turn “red links”—internal links that lead to Wikipedia pages that don’t exist—into “blue links”—internal links that lead to actual Wikipedia articles. (More on this later.) Or if you’d rather start by having your students edit existing material, check out the contrapuntally-named Wikiproject Women in Green, an attempt to bring articles on women up to minimum “Good article” status. The project even provides a “Hot 99” list of women’s biographies to get you started—ranging from Aisha to Natalie Wood. In my last blog post, I wrote about the wide range of disciplines represented in student Wikipedia projects. Perhaps the most ambitious effort is the Wiki Project Med Foundation, whose goal is nothing less than “to provide the sum of all medical knowledge to all people in their own language.” Started by Wikipedia enthusiast and UBC clinical professor James Heilman, the foundation is working to this goal by collaborating with various partners. These include the closely allied WikiProject Medicine, the non-profit organization Translators Without Borders, and University of California San Francisco, where fourth-year medical students have been editing Wikipedia for credit in a month-long elective course since 2013. Amin Azzam, associate clinical professor at the UCSF School of Medicine, found that Wikipedia was second only to Google as the most frequently used source by junior physicians (!) but that there was a clear need to bring medical articles up to par. As he explains in a 2014 interview, he and his collaborators prioritized Wikipedia’s medical articles based on the number of unique visitors to the articles and the importance of the articles from a health perspective. Wikipedia also has a system for ranking article quality, ranging from “stub” to “featured article,” and the collaborators found that many articles were at the low end of the quality scale. Azzam encouraged his students to focus on the intersection of these two—high priority but low quality—and direct their efforts to improving them. Most students picked articles from this list, such as Cirrhosis and Hepatitis, while some pursued articles that held a special interest for them, like “Race and health.” Not only did they edit their chosen articles, but they reviewed articles edited by their class peers. The results, presented at a 2015 medical education conference, were impressive. As measured by Wikipedia’s own quality metrics, the students’ work resulted in improvements to most of the selected articles, and significant improvements to several. Not only has this work continued to the present, with over 50 articles improved through student work, but UCSF’s School of Pharmacy has recently joined forces with the medical school: Tina Brock, professor and associate dean of Global Health & Educational Innovations, now assigns third-year pharmacy students articles to edit from Wiki Project Pharmacology, an initiative like WikiProject Medicine. In the meantime, the Sackler School of Medicine at Tel Aviv University has also taken up the initiative. In a recent paper in Education Information Technology, educators Shani Evenstein Sigalov and Rafi Nachmias explain how their students have edited over 128 medical articles in Hebrew Wikipedia, already viewed over 1.4 million times. The paper also presents findings of a related study that focused on students’ learning experience, long-term impact and productive teaching practices. “But surely” you might ask, “doesn’t Wikipedia’s ‘anyone can edit philosophy’ mean that all this good work can be undone?” I’ll take up that question in my next post. This blog has been updated to correct some initial errors. A spectre is haunting academia—the spectre of Wikipedia. And while there was a time when all the old powers would have entered into an alliance to exorcise this spectre, a worldwide community of educators is now taking a radically different approach: they’re assigning students the task of editing and writing Wikipedia’s sprawling content, and giving them academic credit for doing so. In the process, they’re turning students from indiscriminate knowledge consumers to savvy knowledge creators. At the same time, they’re building an open-access and up-to-date storehouse of knowledge that, in certain areas, already rivals traditional reference works. As Clay Shirky explains, this is all part of an interconnected movement—from wikis to open textbooks to interactive mapping applications like Ushahidi—in which technology has made possible methods of collaboration that never existed before. I’ve told my students, for many years, that despite its many advantages (it’s accessible and in Hebrew), Wikipedia’s not an academic source . . . I told them they can use Wikipedia in the beginning but afterwards they have to go to the Encyclopedia of Islam, or The Encyclopedia of Religions. But all my admonitions were in vain. They used only Wikipedia as their source. Students have now contributed to Wikipedia as part of their course work in agriculture and life sciences, chemistry, community history, geobiology, linguistics, mineralogy, psychology, public policy, and a host of other fields. In March 2016, Wiki Edu’s Eryk Salvaggio, who writes a blog for the Wiki Education Foundation set out five reasons why you might consider assigning such a project instead of a term paper. It’s not hard to do, but before getting into the nuts and bolts of it, we’ll look at some examples of what others are doing. In particular, I want to tell you about some medicine professors who, with their students’ help, are now editing Wikipedia to make high-quality medical knowledge freely available around the world. John Kleefeld is an associate professor at the College of Law and a 2017 teaching fellow at the Gwenna Moss Centre for Teaching Effectiveness, where he is coordinating a campus-wide project on integrating Wikipedia assignments into course materials. Portions of this blog series are from an article that he and a former student wrote about using a Wikipedia assignment for class credit. See J. Kleefeld and K. Rattray, 2016. “Write a Wikipedia Article for Law School Credit—Really?” Journal of Legal Education, 65:3, 597-621.